Dr. Bachlet believes that Hawaii Pacific University is a fantastic place to pursue pre-health studies and is dedicated to helping all of HPU’s Pre-Health students achieve their career and professional school goals. She loves teaching Nutrition, Anatomy, and Physiology, blending the best of academic science and clinical practice for her students. Dr. Bachlet completed her Honors BSC in Nutritional Sciences at the University of Guelph, Canada. Her passion for wellness started here and manifested as volunteer work at a pediatric hospital and as a peer wellness educator. She also worked in the fitness and health industry as a fitness instructor and received a national grant to pursue research into essential fatty acids and breast cancer. In 2000 Dr. Bachlet was awarded a Rhodes Scholarship and completed her PhD at the University of Oxford, England, in the Faculty of Clinical Medicine, Department of Paediatrics. Her work in pediatric nutrition, gastroenterology and neurological disabilities won awards at several international conferences. The Boucher Institute of Naturopathic Medicine in Vancouver, Canada, is where Dr. Bachlet received her Naturopathic Doctorate. There, Dr. Bachlet was able to combine her knowledge of clinical science with her passion for alternative healing methods. Today, she uses that foundation to provide the best care possible for her patients in her private practice as an ND. 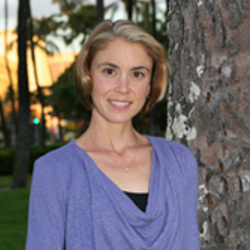 Upon moving to Hawaii in 2009 she received her Master's in Oriental Medicine from the World Medicine Institute and became a licensed acupuncturist in the state of Hawaii. She also joined the HPU College of Natural and Computational Sciences as an Adjunct Professor of Biology. She has continued to work in both academia and private practice, providing her patients with the best care science can offer, and her students with clinically relevant learning opportunities.